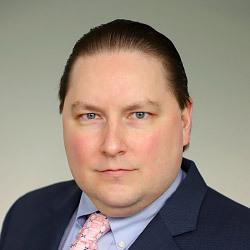 Christopher M. Horn is an associate in the firm’s Lancaster office. He handles all aspects of civil litigation, including general liability, municipal liability, property issues, product liability, commercial trucking, and motor vehicle cases. Mr. Horn manages matters from inception to resolution. Mr. Horn prepares initial pleadings, discovery, liability/damages assessments and comprehensive defense plans. He is skilled at the oral argument of discovery, dispositive, and pre-trial motions alike. Before starting at FHMS, Mr. Horn practiced municipal liability, medical malpractice and personal injury law. Mr. Horn also served as a case coordinator of 20 clients in over 300 asbestos cases, providing both legal representation and analytical forecasts. He has a range of trial and arbitration experience, and has honed his extensive drafting skills. Mr. Horn is involved in his community through service and participation in local organizations. Through the Montgomery County Bar Association, he served as the Vice Present of the Bylaws Committee in 2013, a Montgomery County Arbitrator from 2010-present, and the Program Director of the MBA Fantasy Football League for the past 9 years. He also served as a Pennsylvania Mock Trial Attorney Advisor/Juror from 2010-2013.